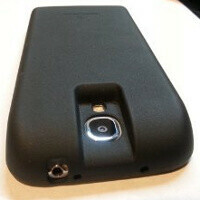 ZeroLemon has launched its long-lasting battery packs for the Samsung Galaxy S4 and the LG Optimus G Pro. An affordable $40 would get you a mind-boggling 7500mAh battery pack for the Galaxy S4, enough to have you Samsung device last over three days on average. The ZeroLemon battery pack does require you to use a new battery cover and makes the S4 much, much thicker. That is the price you have to pay for maximizing the battery life on your phone. The 5.5-inch LG Optimus G Pro gets an even larger boost with a 9000mAh battery pack that costs $45. Both juicers come with a 180-day warranty. The big question is whether you are willing to deal with a large, unwieldy, battery-enhanced smartphone. If you are, then this is one of the best deals around. That's FAT... But maybe worth it. I'd still prefer power banks (those cases make a phone too thick, and only usable for a single phone), but damn, $40 is pretty reasonable for those cases. That's why is good to pick up a battery juice pack or a universal charger for your spare battery...you can use them with the next device you upgrade to. Not to mention that this battery pack makes your phone 2-3x thicker than what it is. 'The Samsung Galaxy S 4 is a very light and compact device' 'Sorry, Sammy. Your argument is invalid' What is the problem with power banks nowerdays? With powerbanks you can easily get over 10000 mAh and there's no need for a thick phone. Anyway, not considering those two phones. They are not good. I have a 7000 MaH one for my Galaxy S3 that generally "only" lasts 2 and about a quarter days. Its really a great battery, but it makes my phone into a pretty ugly little brick. To the author: You may want to change the link title for the "Zero Lemon Galaxy S4 G Pro black 9000mAh battery pack - $45" The 9000mAh battery is only for the Optimus Pro, not the S4.